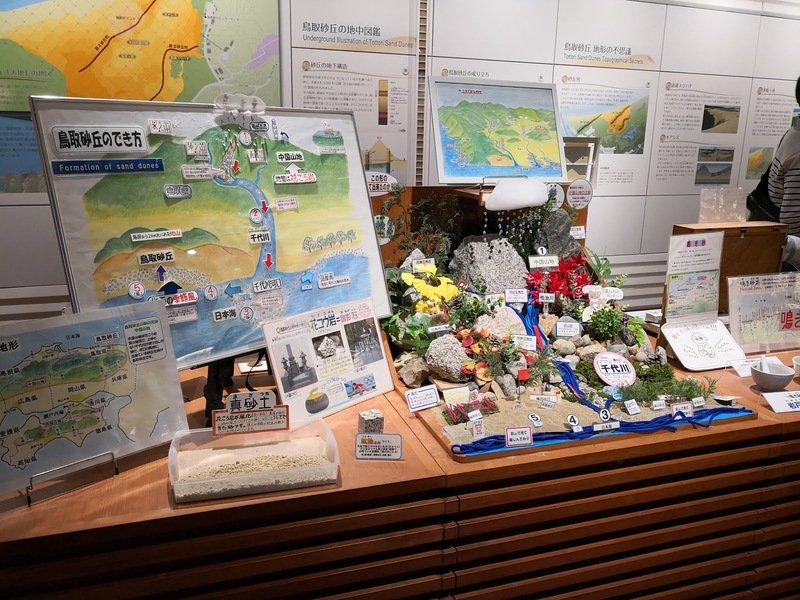 The only place in Japan with a natural dessert scene, when I first saw this prefecture being promoted during Matta Fair 2 years ago, I told myself to go there one day. This sand dune is indeed one of the most mesmerizing views Japan has to offer aside from usual Sea, mountains and forests; on my personal list this would definitely easily be top 3 because where else in Japan can you find this? Japan's skies are always so vibrant, it's hard not to fall in love every time i see it. 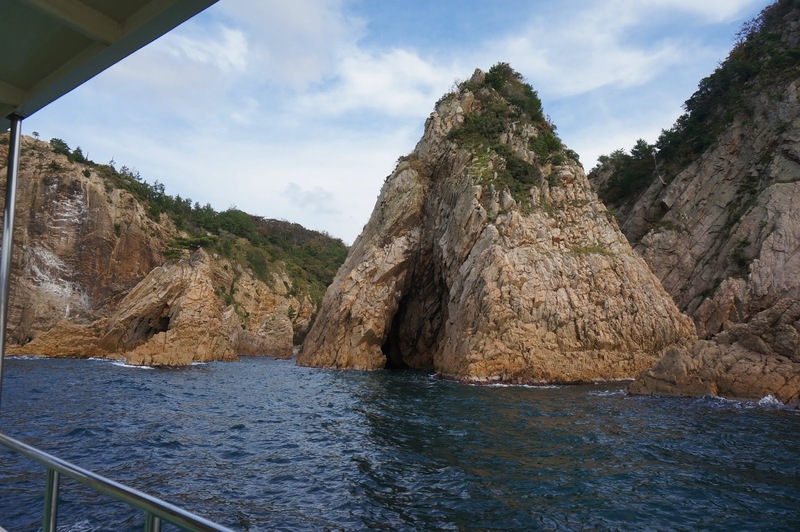 And its 100% natural created by the waves pushing sand deposits from Sendaigawa River over thousands of years! I know some of you who are reading this would be wondering, “aiya, go so far for sand for what? Melaka also have mah!”. Lol, true but it wasn’t there 10 years ago until the government decided to reclaim the sea as there wasn’t enough land for their development projects. We’ll see how well their foundation will hold before it starts sinking in. 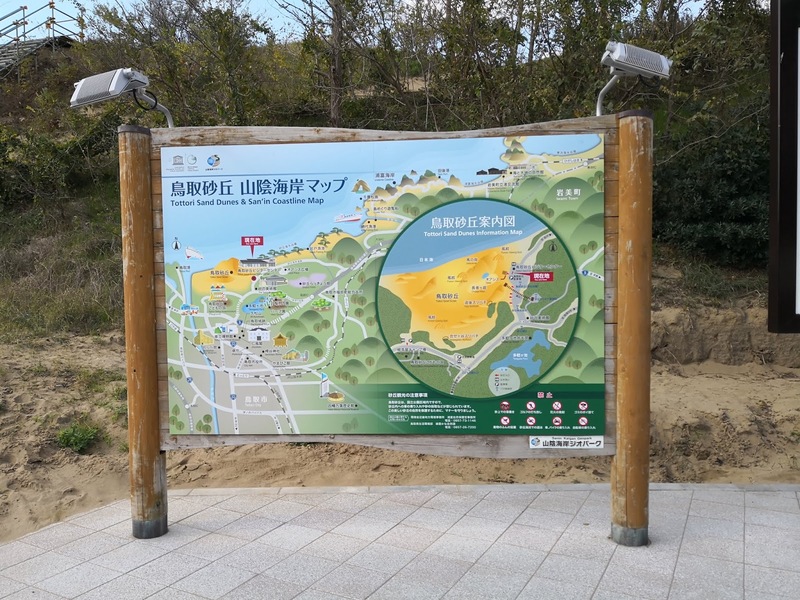 Back to Tottori sand dunes, it is a sight to behold because it’s where you can get an amazing view of all 3 elements meet- The sand, sky and sea all in one shot. Even countries with lots of sand like middle east can’t offer you all 3 combo and not to mention the heat that comes with the view as well (heard it’s usually 40 degrees+) lol. As much as I would like to visit Egypt and Abu Dhabi one day but the heat and the air ticket prices scares me at the moment so I’ll just spend the next decade traveling around Japan first and complete my #47prefecturemission since I’m almost 50% done haha. Though many would say that this area is crowded with tourists, mind you that the sand dunes spreads out to 16km along the coastline so you CAN find areas to photograph without tourists photobombing your pictures! The place is HUGE enough for everyone lol and the landscape is ever changing due to the tide and winds so every visit here will offer you a unique view! Like how we went slightly further up ahead from the main viewing spot and lo it’s EMPTY! Everyone in the group spent their sweet time doing fashion shoot lol, sibeh funny wei seeing everyone syiok sendiri changing poses every second while one can hear the camera shutter snapping non stop lol. Think our tour guide secretly laughing inside thinking “why these bunch of girls so vain geh?” HAHA! Since you already planning to visit the sand dunes, here are some other things you can do while you are there! 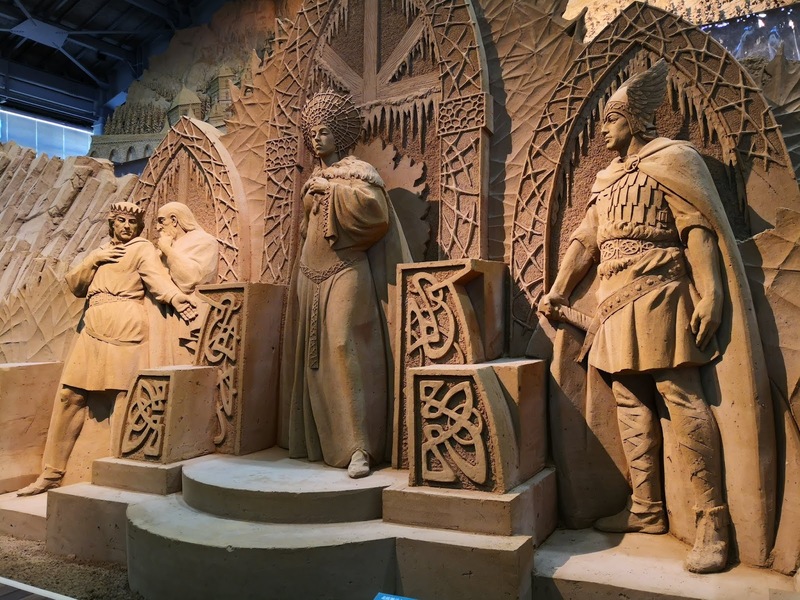 This place houses the most amazing sand sculptures and every year is a different theme! 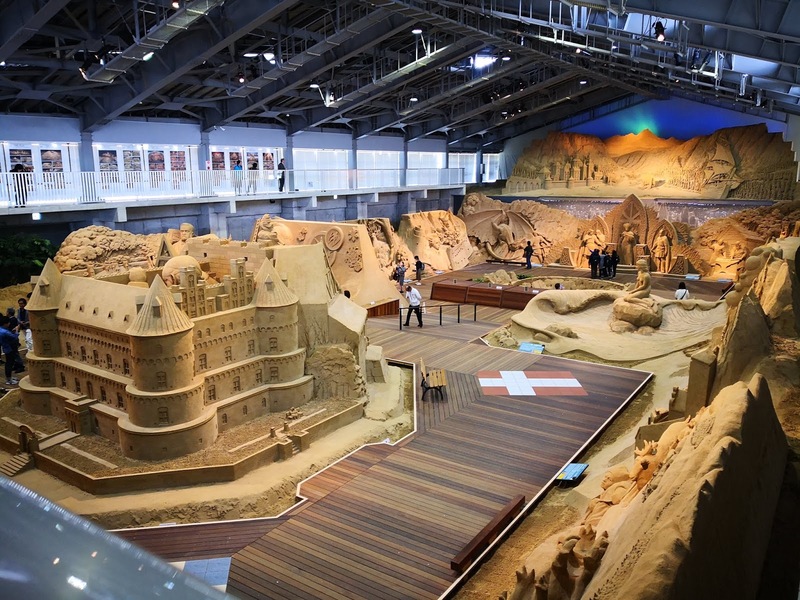 It’s the one and only sand museum in Japan that started in 2006, and each annual sculpting project takes up to 3 month to create! 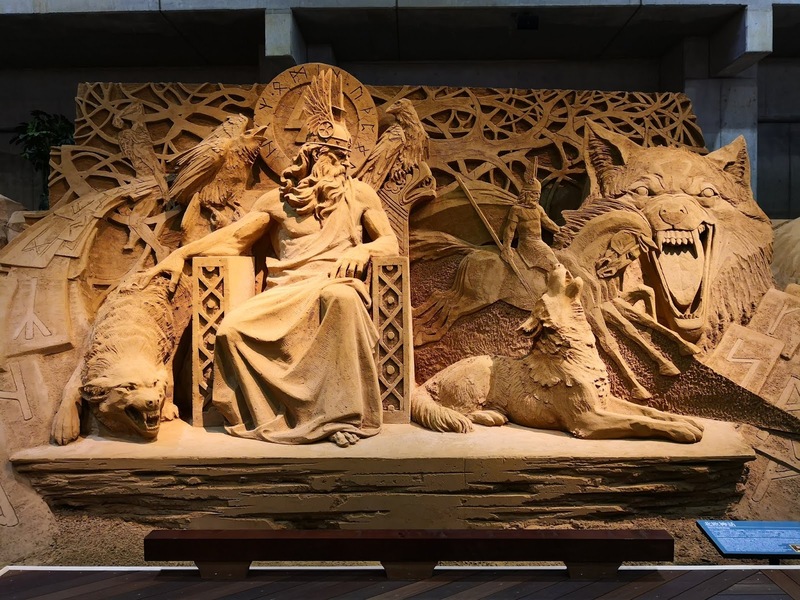 During my visit the theme was “Nordic” so you can find sculptures of folklore stories we used to read like Little mermaid, Vikings and many more. 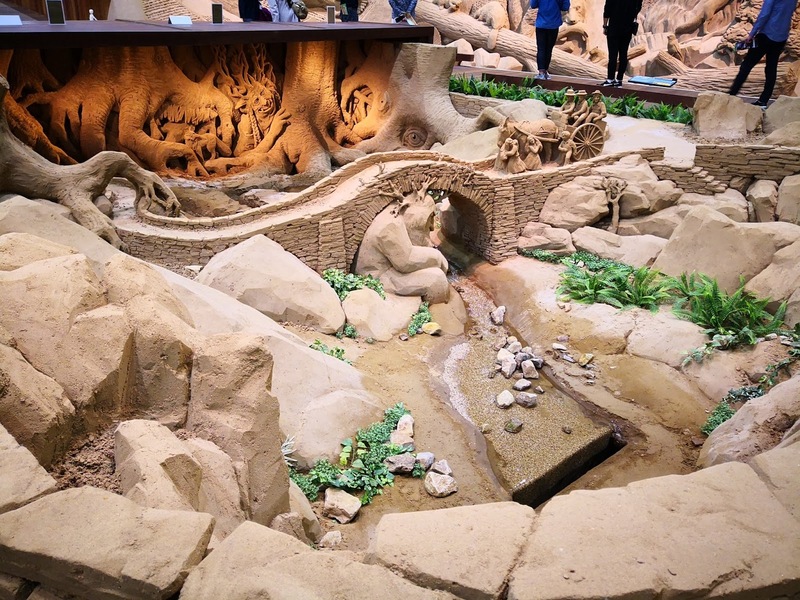 All of them were hand sculpted by professionals sourced worldwide and these are just your average small sandcastles, we are talking about human size or larger than life ones that fills the entire exhibition hall. You can get a good 360 degrees’ view of the museum from the 2nd floor which is accessible by both lift and stairs. The theme for 2019 is gonna be “Southeast Asia”, can’t wait to see what they are creating for that! They even sell rainbow kiwi here, super delicious and sweet! 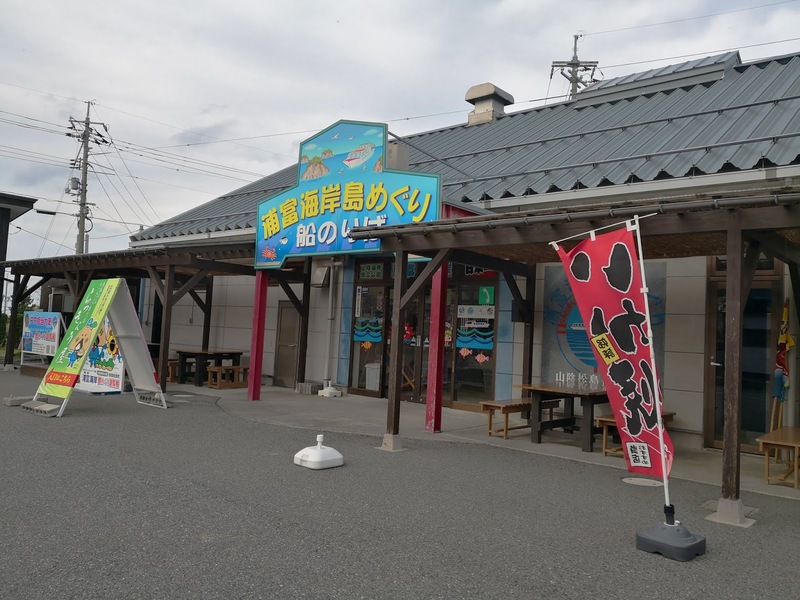 If you are not planning on having fresh seafood meal in Tottori then I’m not sure what’s the purpose of visiting this place. 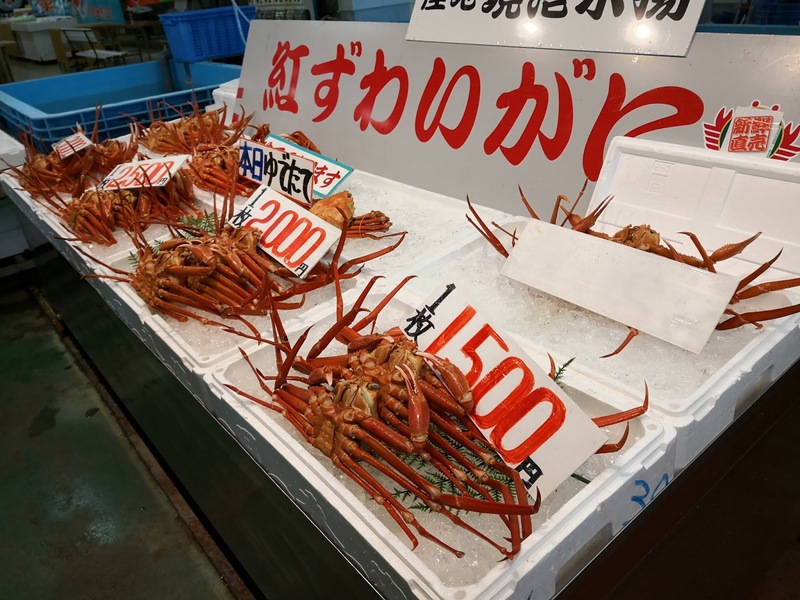 Even myself with a shellfish allergy wouldn’t say no to other seafood like fish and squid because where else to get the freshest around? Only by the sea of course! 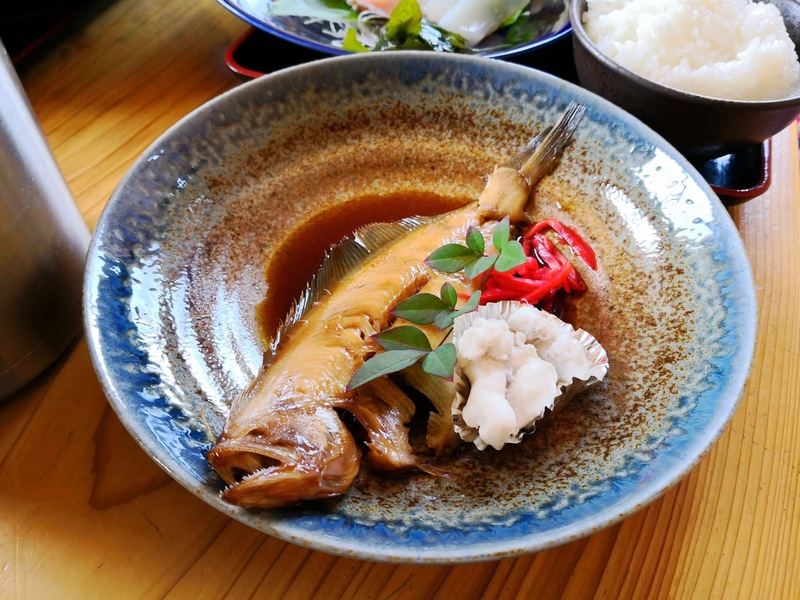 Back in Kyoto because we are so far away from the sea, that’s why most of our traditional foods are pickled (persevered)! 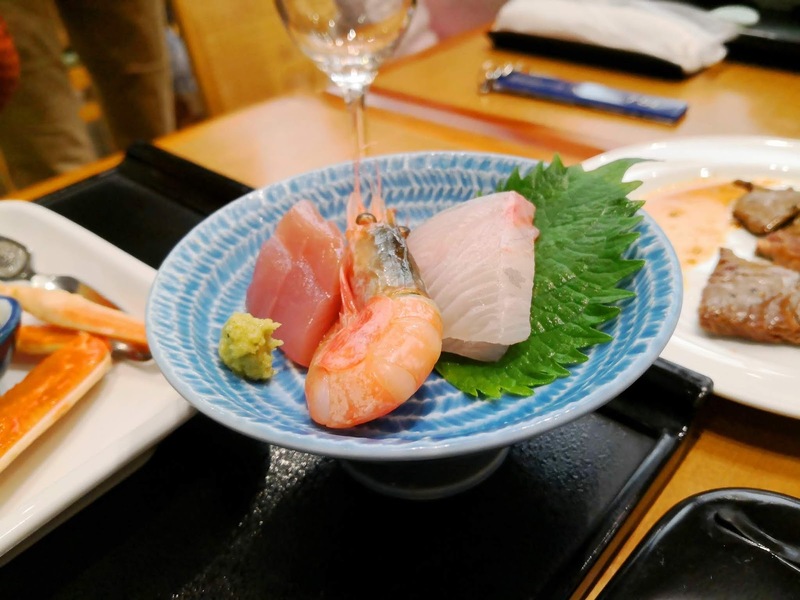 It’s really nice to get fresh ones once in awhile as a treat but in Tottori, it’s like fresh seafood fest everyday yo~ so we stopped by Ajiroya right before our boat tour (restaurant is nearby the port) for lunch and wasn’t disappointed as everything served tastes so good! 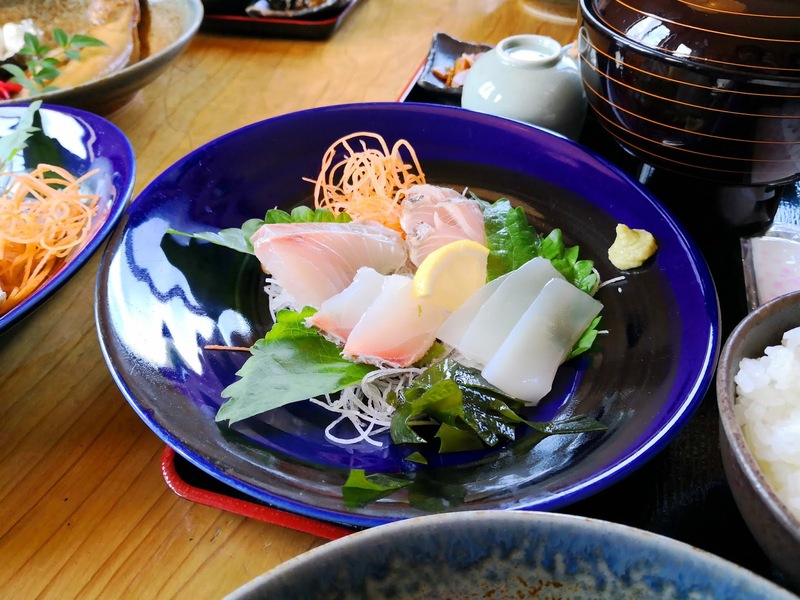 Sashimi served with freshly grated wasabi (not those tube paste kind) and even their miso soup tastes extra special as they used the other parts of the fish remnants from the sashimi to make it, that way nothing is wasted. Really resourceful method, should really try making miso soup with leftover fish next time at home. 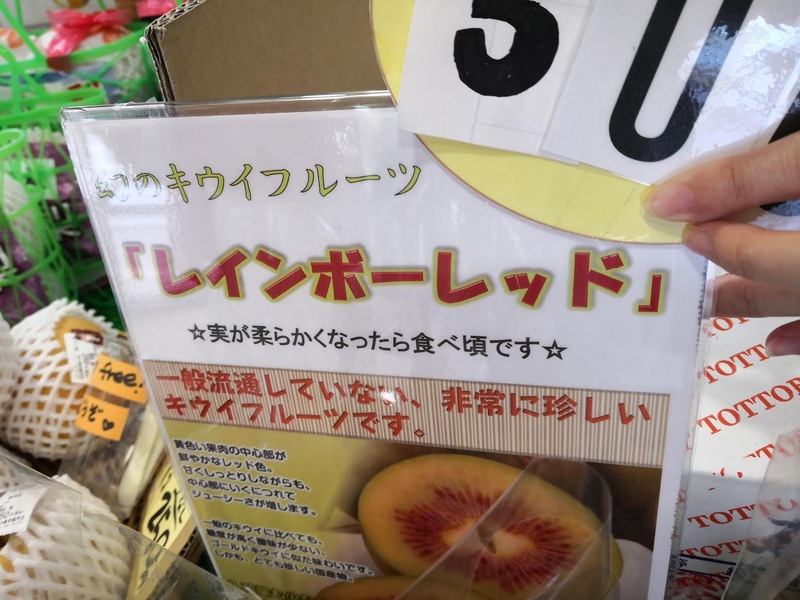 And I’m not kidding about Japanese people and their resourcefulness when it comes to food, they take it very seriously that’s why every part of a fresh produce can be made into something edible. It's okay, can leave me to drown here. I don't mind lol. A short walk from our lunch place and 15 mins from the Sand Dunes, this one is definitely NOT TO BE MISSED on my list and I felt the boat tour was too short because with a blink of an eye we are back on land already lol. Guess I was having too much fun admiring the islands and caves carved out by the raging sea waves, not sure if it’s just me but I somehow felt as if the caves we beckoning me to explore them (ironically I’m afraid of the dark & also claustrophobic lol) but the tour was just rides past them, take some photos and off we go! Maybe it could be part of my interests in archaeology that made me want to scout this area lol, really if I wasn’t blogging or a fashion designer I would have been an archaeologist liao because I’m really fond of history. I would most definitely love to take a small boat out there one day to explore around these islands and swim out in the sea, do some snorkeling, just be one with nature for a day. You can also feed seagulls/ small eagles (I think that’s what they are called, sorry not good in determining bird species lol) with prawn cracker snacks which you can purchase at the ticketing counter. 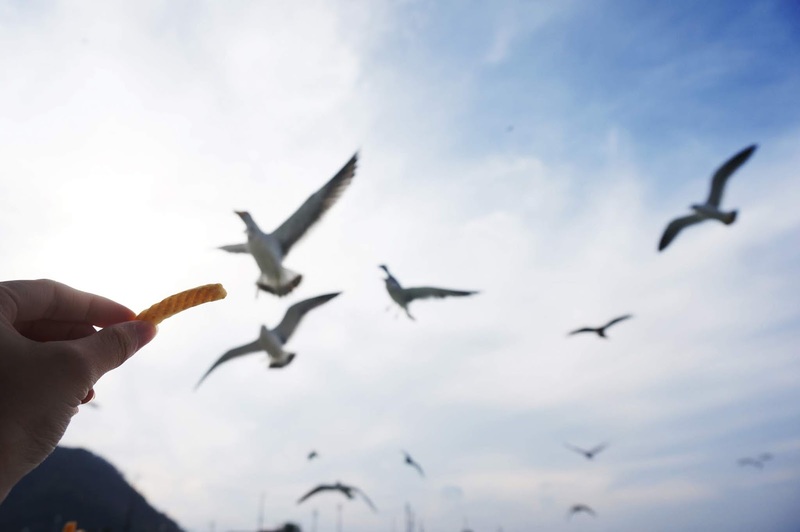 It’s really fun for both adults and kids getting to see a bunch of seagulls and small eagles swooping down to grab their treats and sometimes are able to catch them mid-air too! 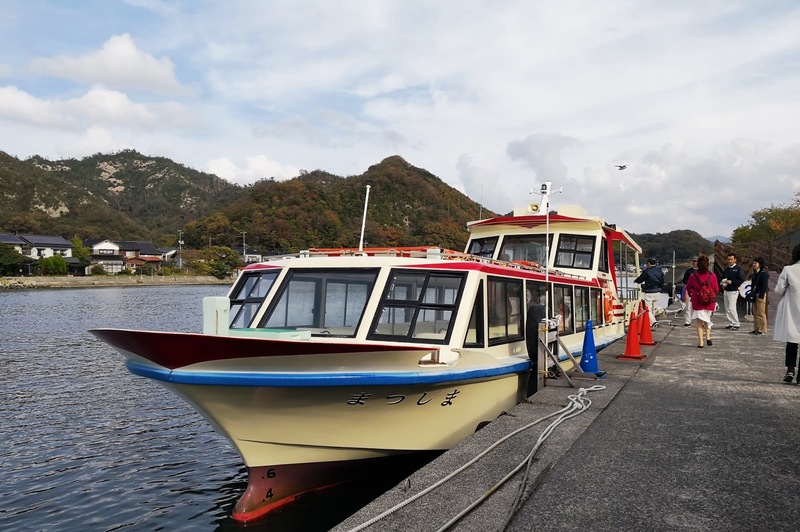 The boat tour is definitely done within an hour so you’ll still have some time to kill around the area, why not visit Watanabe Museum! 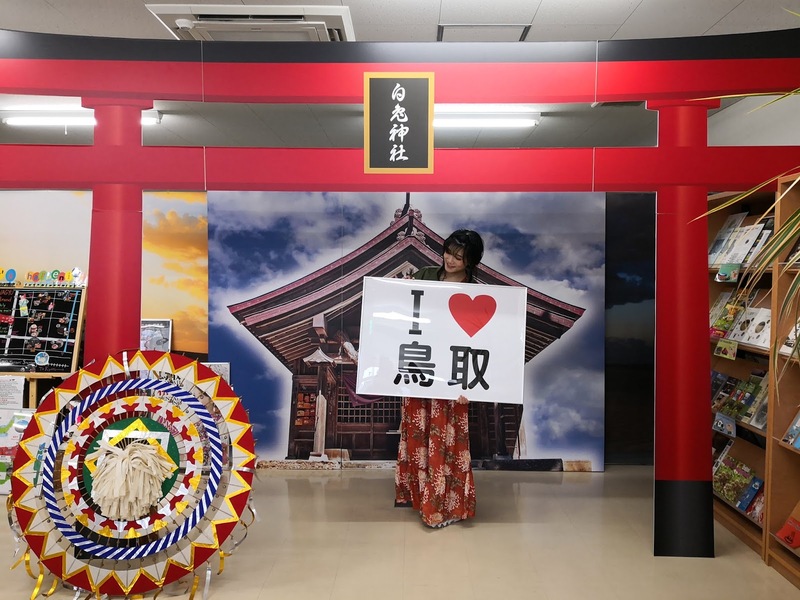 Yes, I know visiting 2 museums in a day sounds like a dreadful and boring suggestion especially for a holiday but trust me especially for those of you who have played games with historical elements in it like Sengoku Basara, Touken Ranbu, etc. 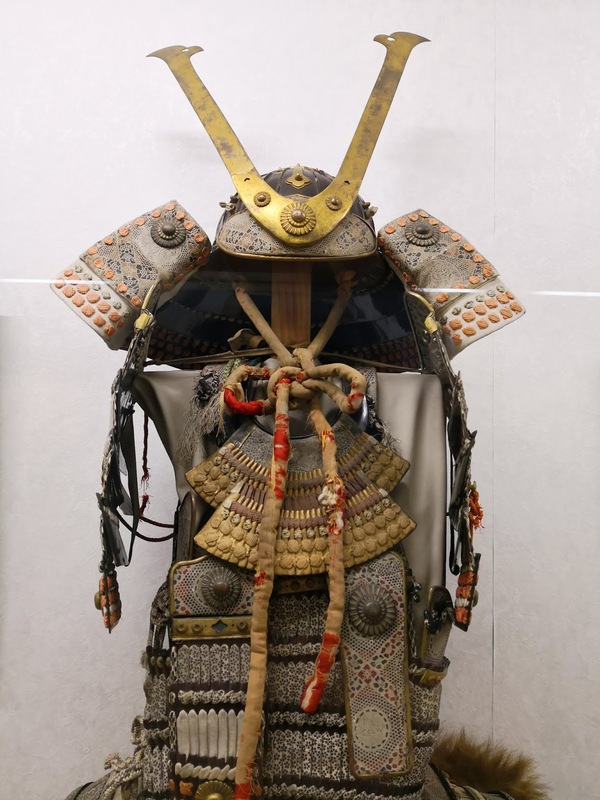 There is a wide collection of feudal armors worn by samurai, in pristine condition on display for visitors to see. 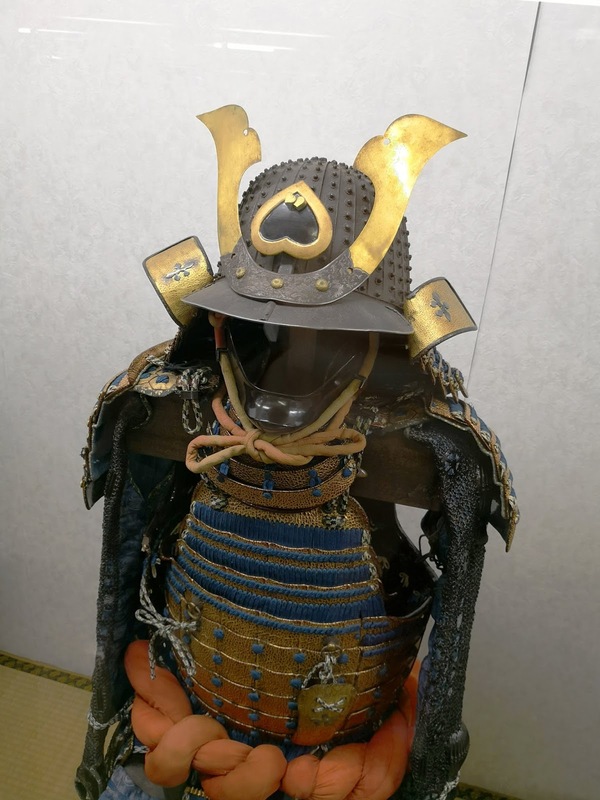 The oldest armor in this exhibition is from Edo Jidai era (900 years ago) and we could see how the helmet’s horns shrunk over time for convenience (lighter). 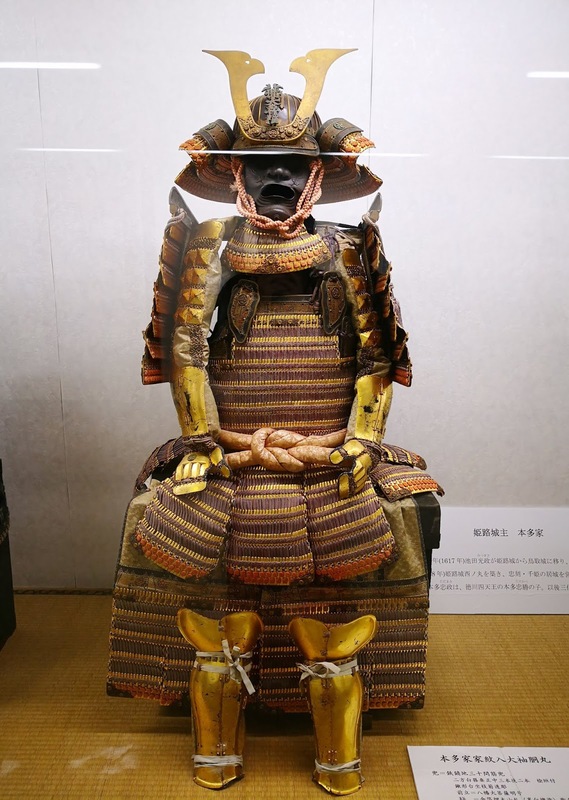 Samurai from different prefectures has their own version of armor which you can also see alongside each other here and the similarity they shared are the weaving (fusahimo) techniques used. 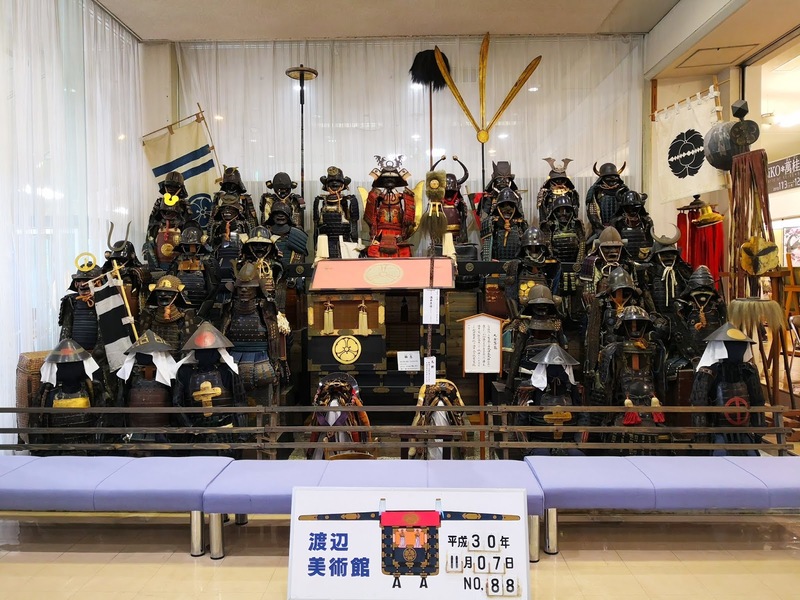 Apparently the art of armor making still can be found in modern Japan, as one can custom make a replica starting from 400,000yen onwards. Amazing craftsmanship that's been well preserved. 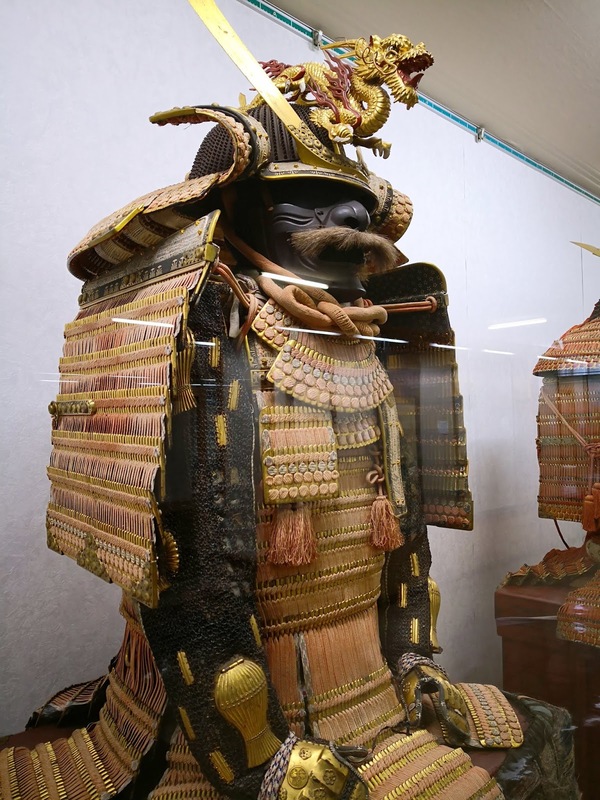 Armor from Himeji coated in real gold. Our curator was also very good in explaining about the displays, making sure we aren’t bored and yawning away lol. Not sure if she speaks in other languages as I forgot to ask because our tour was conducted in Japanese with our own mandarin translator. 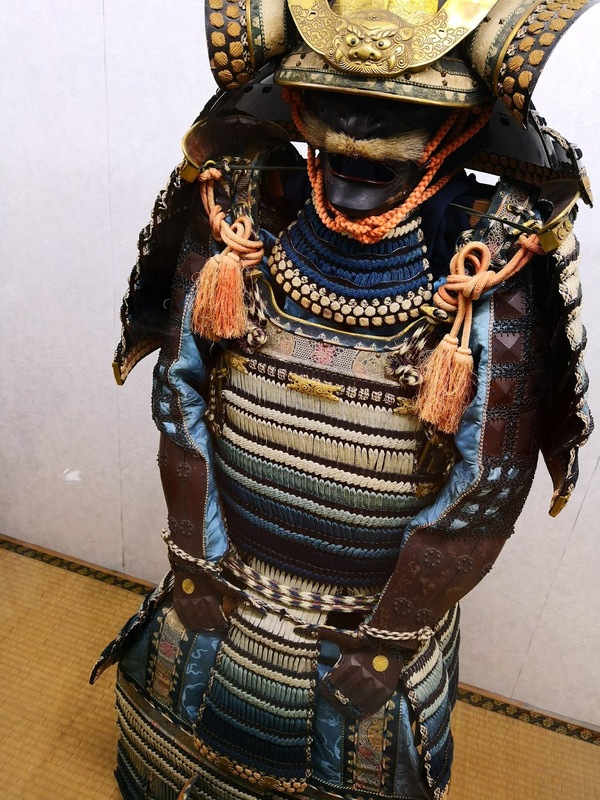 Didn’t know that the symbol on the helmets of the armor has its own meaning, representing the type of situations the samurai is going for; it's not purely for decorative purposes lol. Like how the wild boar symbolizes “bravery and steadfast” (in a less nice term- no return/ suicidal mission), true enough that’s how the wildboar behaves when attacking, just a straight charge. However, there are also symbols with hopeful messages such as the rabbit or moon which symbolizes “return” . All seafood lovers would definitely love this place because it's heaven for them, tons of freshly caught seasonal seafood sold here as it's next to the sea. 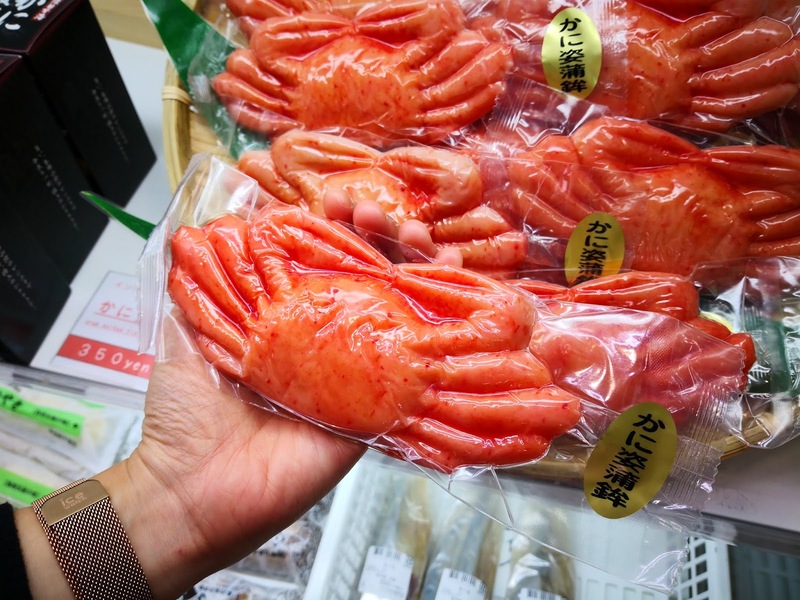 I couldn't believe my eyes that giant crabs costs less than RM100 here, in Malaysia that size and species would probably cost you almost RM500! 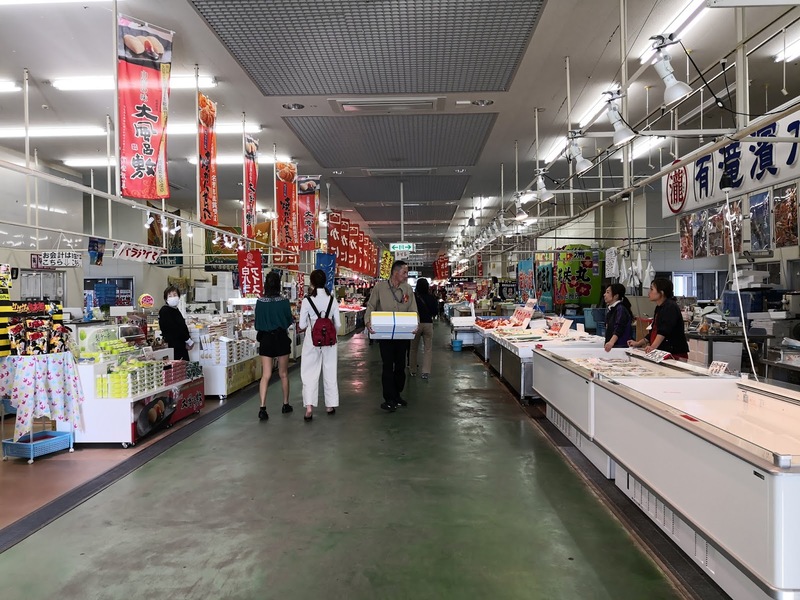 If you have visited Tsukiji in Tokyo before, imagine this as x100 times better because of the view & not so packed with crowds so you can peacefully enjoy your seafood and souvenir shopping. 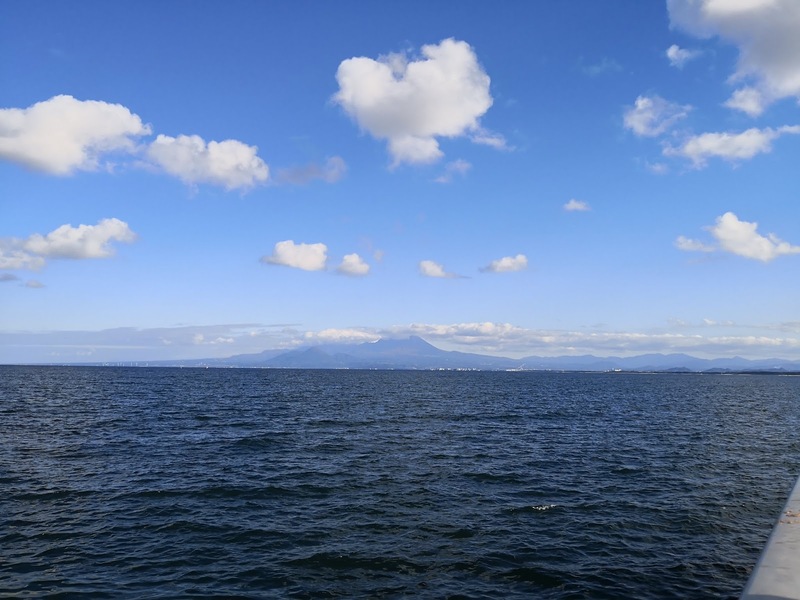 Located in Sakaiminato city, Tottori prefecture; this part of town is blessed with a beautiful sea view with painted bright blue clear skies that looks far too perfect to be real (seriously!). Its interior looks so luxurious and everyday the hotel's view is graced beautiful sunrises and sunsets, not sure what else i could ask for because this view alone already took my breath away, and i felt so at peace here just hearing the sound of the waves, crisp cooling sea air against my face and cold waves washing up my feet as i enjoyed my early morning stroll on the beach. 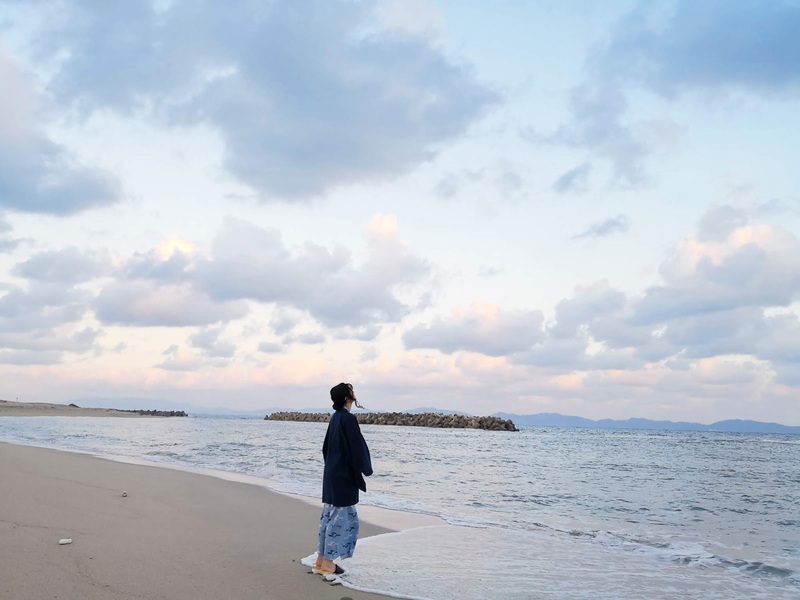 Yukata is provided for guests, and if you are heading to the beach there are geta sandals you can borrow from the main entrance. 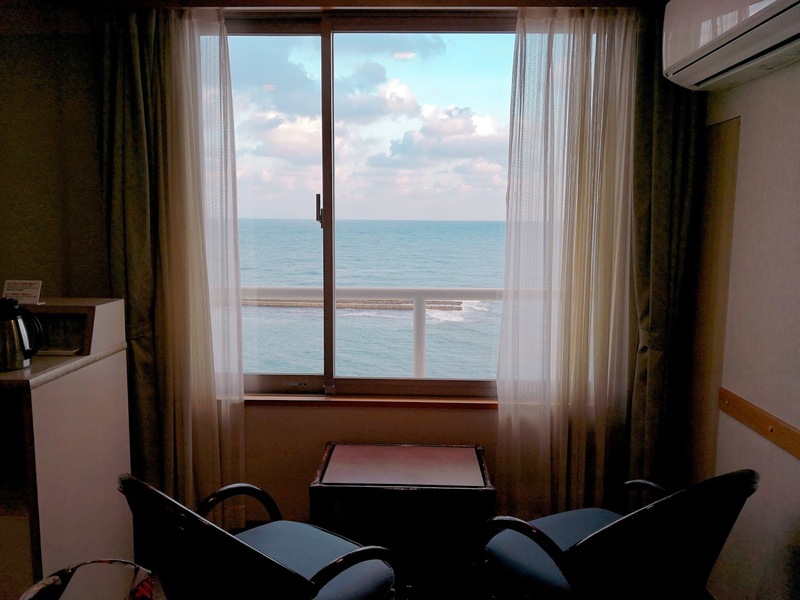 The view from my room, i can wake up to this view everyday. 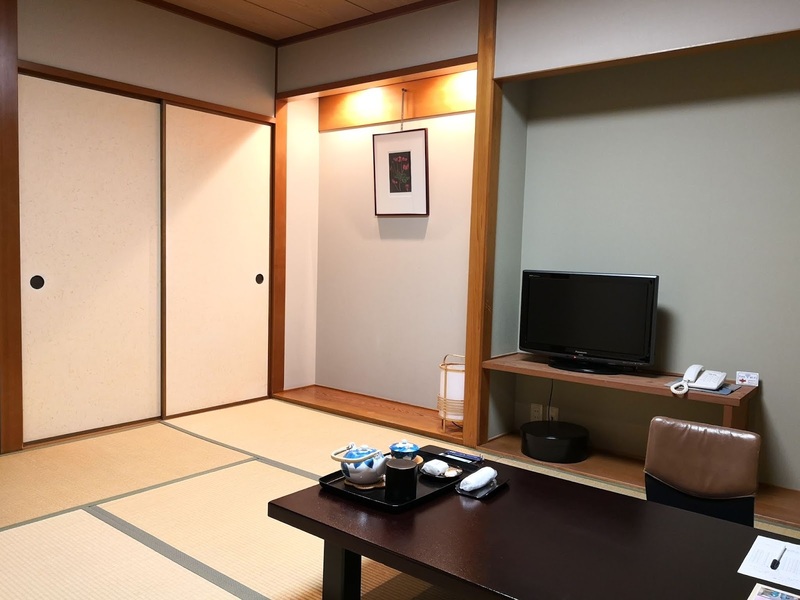 They have rooms facing the sea, and inside the rooms part of it is made into traditional tatami style (there's normal beds as well, no worries lol) so guests can enjoy the originality of Japan's culture like in a Ryokan except with modernized facilities as well. 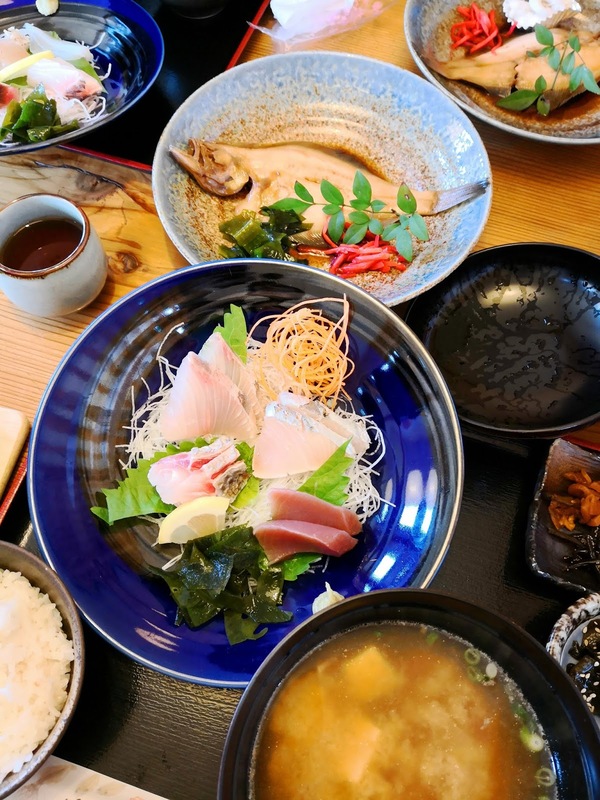 Seeing the rest of the gang enjoying all the seafood while i'm stuck with the fish dishes, i vow to come back to Tottori again to enjoy seafood lol, note to self; "don't forget the pills!" That fat juicy fresh prawn!! 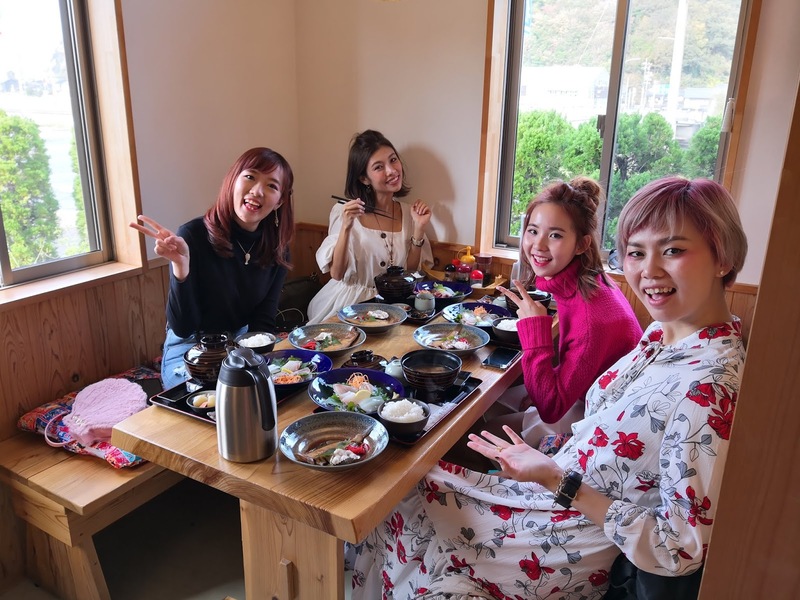 After our buffet session, we went for a long soak at the hotel's large onsen, and as always soaking together always ends up a gossiping session lol, girls be girls. 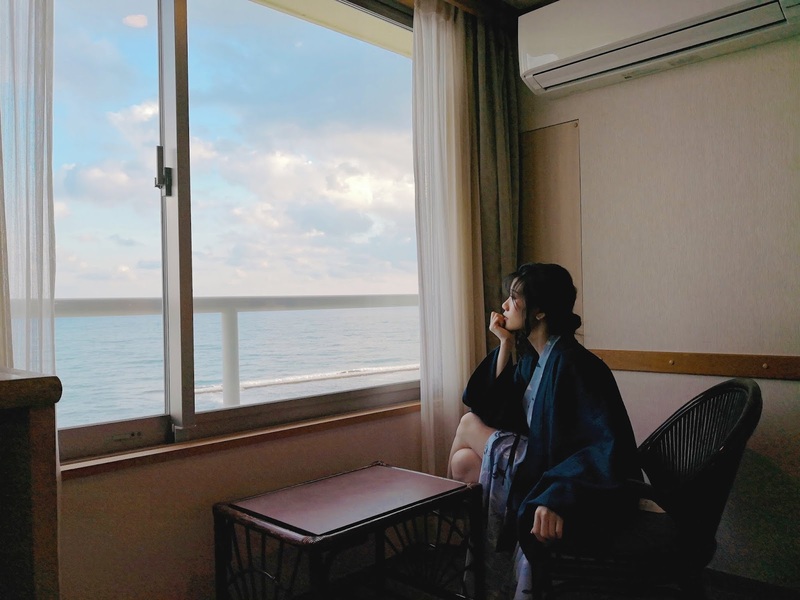 Skin feels so smooth after soaking, that's why i love onsens and especially during winter it keeps you so warm that you don't want to ever leave it, they also do have an outdoor onsen as well which would be great for a sunrise soak! 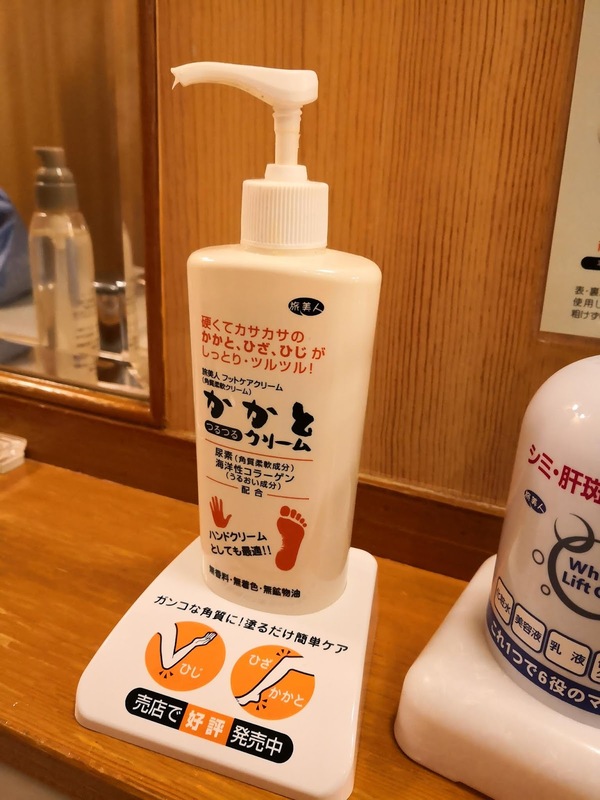 These are one of the few amenities provided in the onsen, this cream is really good for dry skin! Bought a small tub from the souvenir shop in the hotel to bring back home. 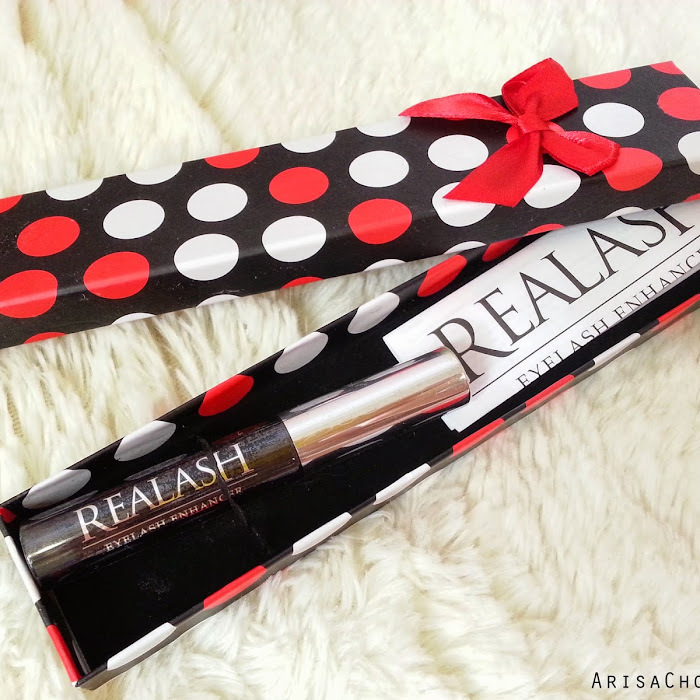 This skincare is also very nice to use, leaves your skin feeling super smooth! 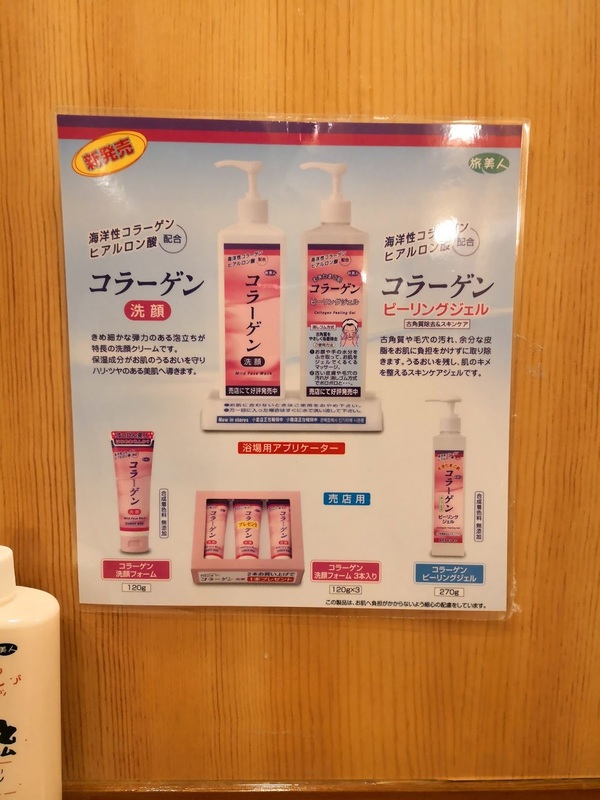 It's a gentle exfoliator (peeling gel) and face wash, you can try it at the onsen and buy it at the souvenir store. 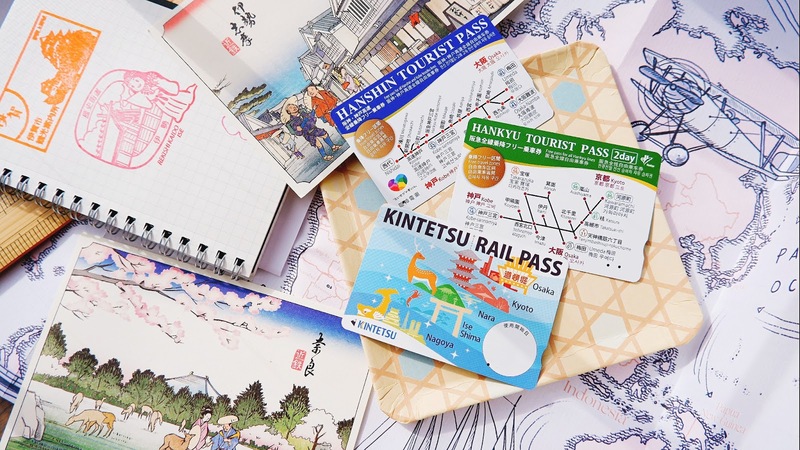 Now for the part where everyone is eagerly waiting for, getting around Tottori without having to pay a bomb or spend too much time switching local trains/ buses. Over here you can apply to rent a personal taxi for 3hours at 2000 yen per person (can fit up to 4 people) and the driver can bring you anywhere you want to go as long it’s within the time limit! 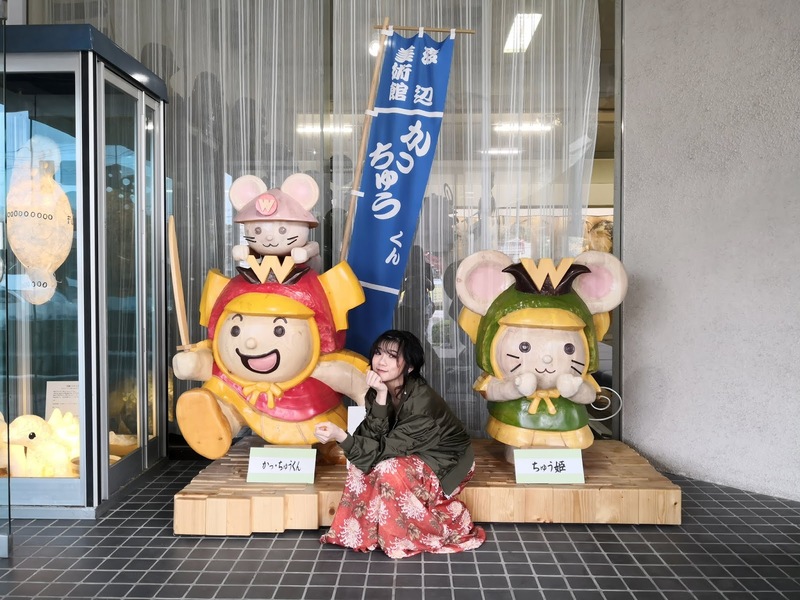 But bear in mind this taxi service is only usable WITHIN Tottori city and eastern Tottori prefecture. The benefit of sitting a taxi is that timing is more flexible and no waiting, suitable for groups with children or elderly people! 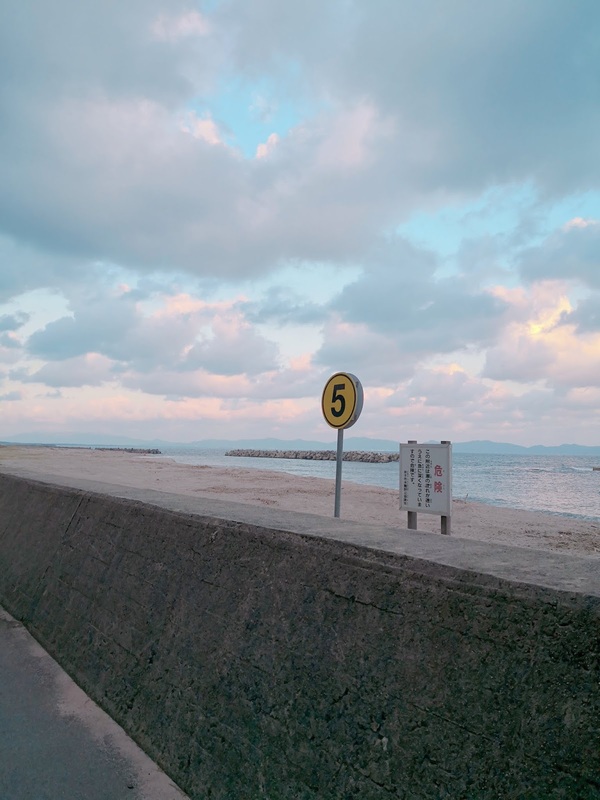 This bus passes by some of these locations mentioned above and other famous sightseeing spots in Tottori city, except Iwami, Yonogo & Sakaiminato areas that i've listed in this post. 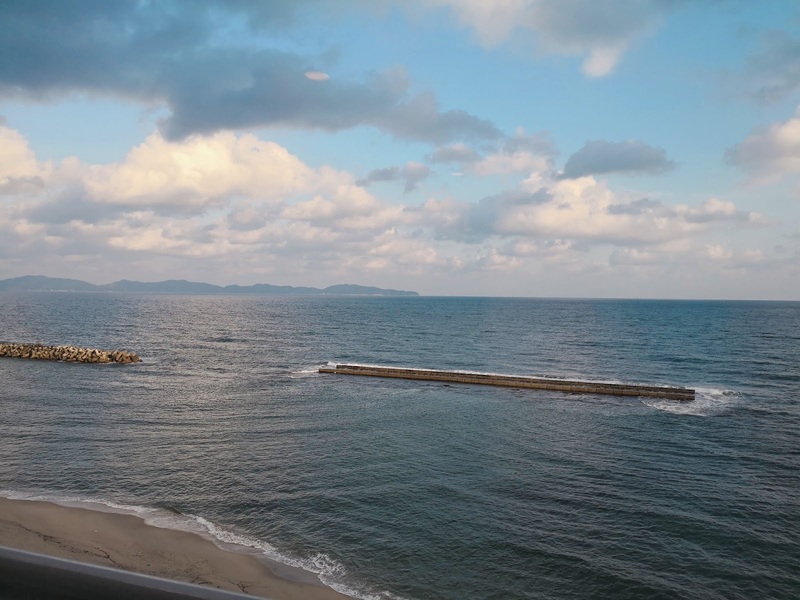 Hope this entry got you excited to visit Tottori next time if you would like a change of scenery from the usual Osaka, Kyoto and Tokyo view!